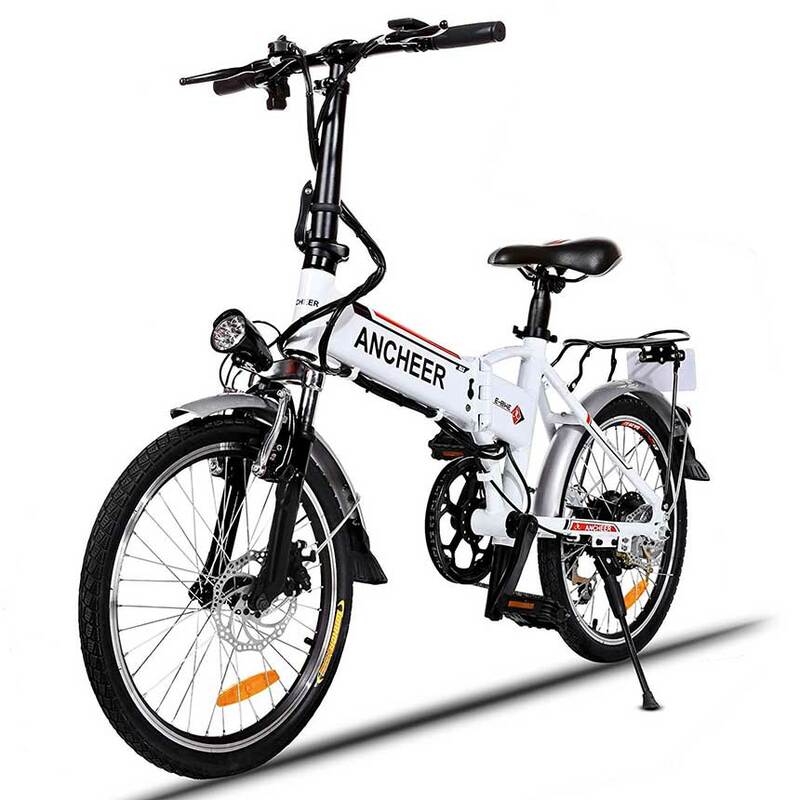 Anchor makes a great lightweight foldable electric bike can be used as a road or mountain bike. You can expect to get about 15-30 miles on a single charge at speeds up to 15 on flat surfaces with the motor alone! The frame is made from a lightweight aluminum alloy. 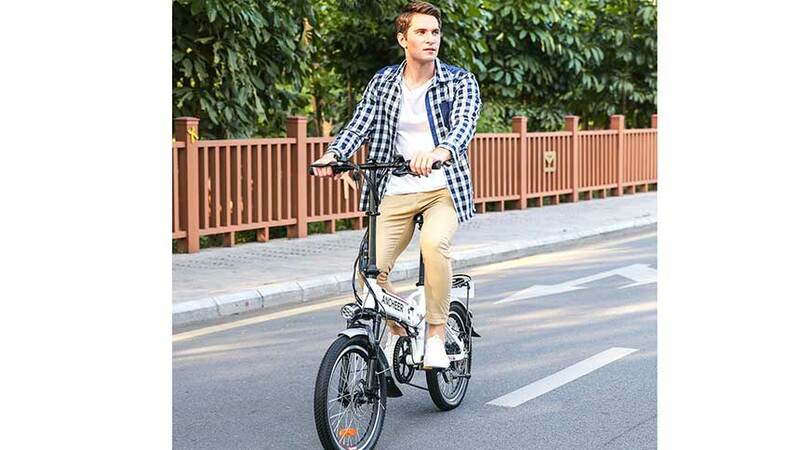 A hybrid foldable electric bike is a great way to get around in urban settings or off road. The collapsible folding design makes the bike portable and super easy to store when not in use. You can even just throw this bike into the bed of a car and forget about until you want it. The ebike takes only seconds to fold! You can set the pedal assistant system to low, medium, or high. The level is super easy to adjust right on the handles. The front fork is made of super strong carbon steel and has great comfort shock absorption. The battery can be charged on or off the bike. It is easy to remove and can be charged in the garage or home. You can expect the charge time to be about 4-6 hours. If you have questions or comments about this bicycle feel free to leave them below in thecomments.